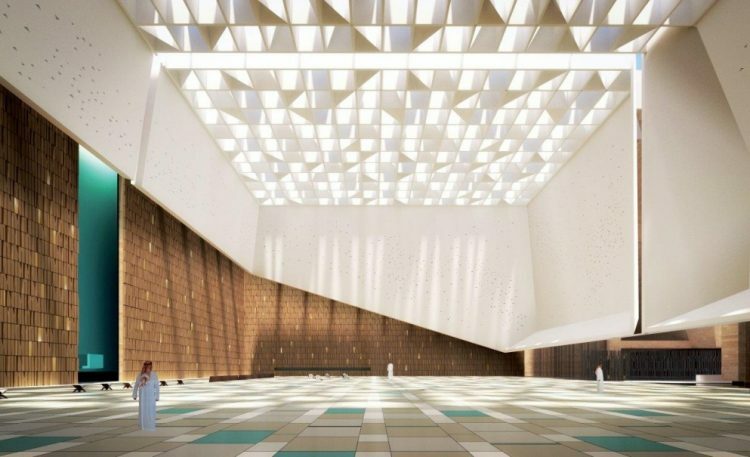 The project of the new AlJabri Mosque in the city of Ha’il, in Saudi Arabia was awarded the title of “Iconic Awards 2017- Winner” in the Concept Category. The European competition of the Iconic Awards under the aegis of the German Design Council, is the first neutral international competition embracing the whole world of architecture and design, including communication, construction sector and industry. Well known are the Media Partners of the 2017 edition: Atrium, Dezeen, World-architects.com. The Best Concept prize will be collected by Schiattarella Associati at the Award Ceremony in the BMW Welt during the Expo Real in Munich on 4 October 2017 in addition to the “Iconic Award 2016 – Best Concept Winner” , won last year for another important project in Saudi Arabia: the Addiriyah Contemporary Art Center. This year’s award goes to a broad-ranging and structured project, thought for a complex having a double soul: religious and social, a benchmark/reference for the local community. 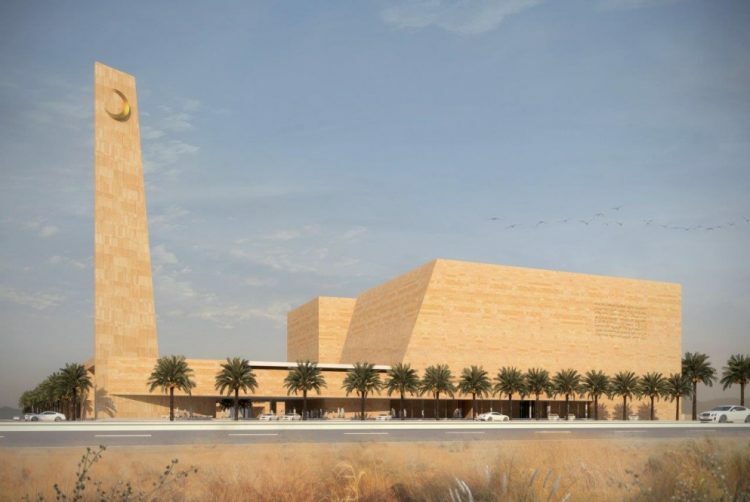 The new Mosque will cover an area of 22.550 square meters, on King Abdul-Aziz Road and will host a mix of religious, civilian, educational services. 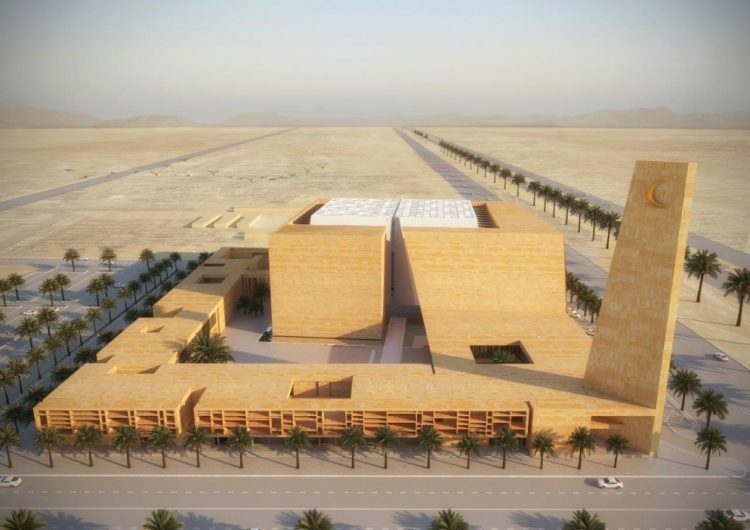 The project starts from an in-depth analysis of the architectural identity character of Najd Region and its relationship with the urban surroundings in order to define formal and architectural key elements. 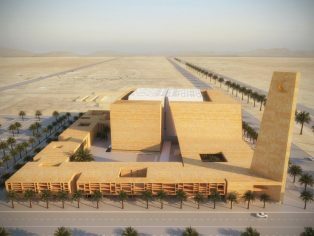 The complex develops around a central square, enclosed and cozy which , which will be a meeting point. Access to the square is enabled through covered passages and small aired and shady courtyards, a protected location in which meeting and relaxing is pleasant. 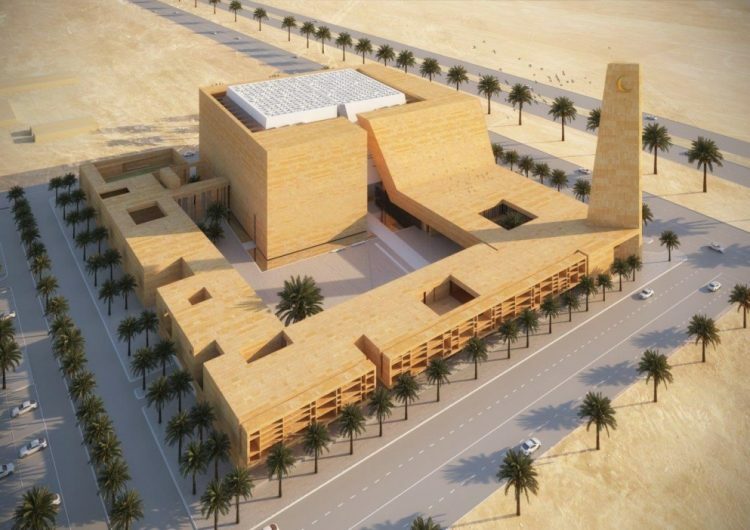 All around the plaza, there are commercial activities, coffee bars and little restaurants, whereas on the upper level there are offices, libraries, Koranic school and sports facilities for youngsters. The entire building complex is naturally dominated by the Main Mosque. The project signed by Schiattarella Associati tries to build a fragment of a “slow-city”, in dichotomy with the urban development model of the last decades. it follows the principle of a people-oriented city, the project summarises essential of Saudi cultural identity values of Najd architecture and contemporary language. The volume of the Mosque, despite its dimensions, apparently seems floating on the water surrounding it. 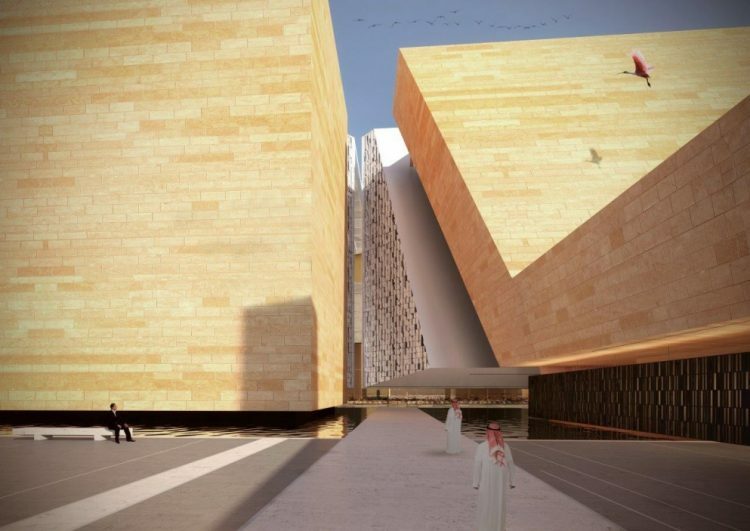 The diagonal cut at the centre of the stone-made façade marks the symbolic passage from outside to inside, the doorstep between civilian and religious area, promising and allowing the owed purge/purification. 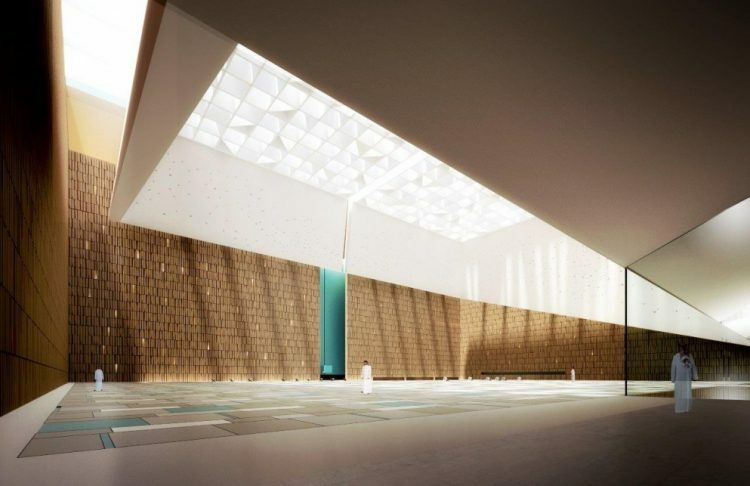 The inner space is crossed by suffused and indirect light, which reflects on the rough walls surface and deeply penetrates in the Mosque. Light increases its intensity while approaching the Mihrab to indicate directions towards Makkah.